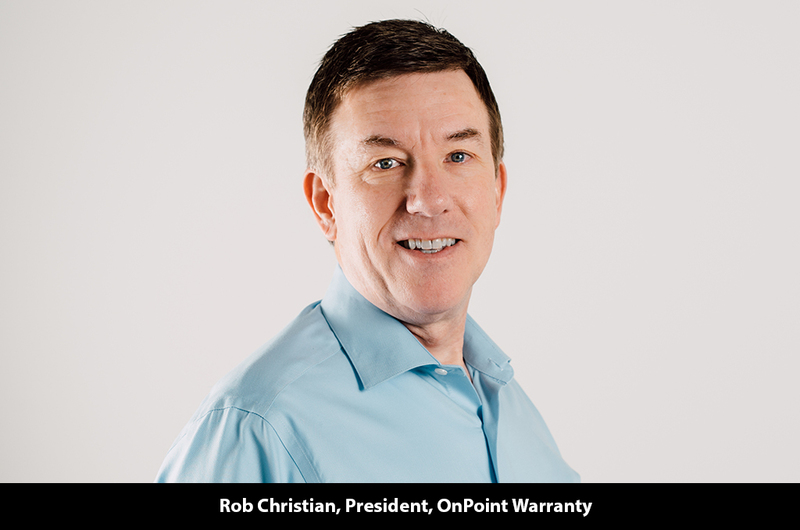 Since its inception, OnPoint Warranty Solutions has witnessed an evolution of the warranty service business, especially in the last three years. Emerging technologies like IoT and 24×7 connectivity through smart devices have transformed consumer behavior. To capitalize on the benefits of new technologies and changing consumer behaviors, OnPoint’s principals, Chris Smith and Rob Christian, assembled a team of similarly experienced product service executives. The team develops and executes innovative service contract, underwriting and service fulfillment solutions for manufacturers, retailers, and service providers. Relying on experience at companies such as Samsung, AIG, GE, Sears, ServicePower, Harbor Freight, and Service Net, the team built the business on thoroughly vetted service delivery processes, omnichannel consumer technology, a high touch, fully credentialled service network, and A rated insurance underwriters. The company endeavors to drive value for not only their clients through warranty underwriting strategies which provide balance sheet relief or new extended warranty programs which improve revenue and increase repeat purchases, but also for end-consumers. A consumer-first focus enables OnPoint to flip the service paradigm and focus on the end game, seamlessly connecting manufacturers, retailers and service providers to their consumers through great service to drive consumer life-time value and repeat product purchase rates, rather than claim avoidance as is traditional in the service contract and warranty verticals. Research validating that positive service experiences result in a seven-time increase in repeat purchases from the original retailer is a key tenant of their strategy. By focusing on ensuring that consumers are exceptionally happy with their post-product service experience, and also providing value-add services like on-demand repair, or installation and configuration of smart home devices or maintenance services, OnPoint helps retailers generate the highest levels of brand loyalty, driving repeat sales. As OnPoint focuses on consumer experience, it does so with an eye towards providing its clients with innovative service contract, warranty and service products designed to reduce risk, increase efficiency, and improve bottom lines. “We’re focused on great experiences which drive consumers back to our clients again and again to buy more product and establish a real relationship and affinity toward our clients!” says Chris Smith CEO, OnPoint Warranty. 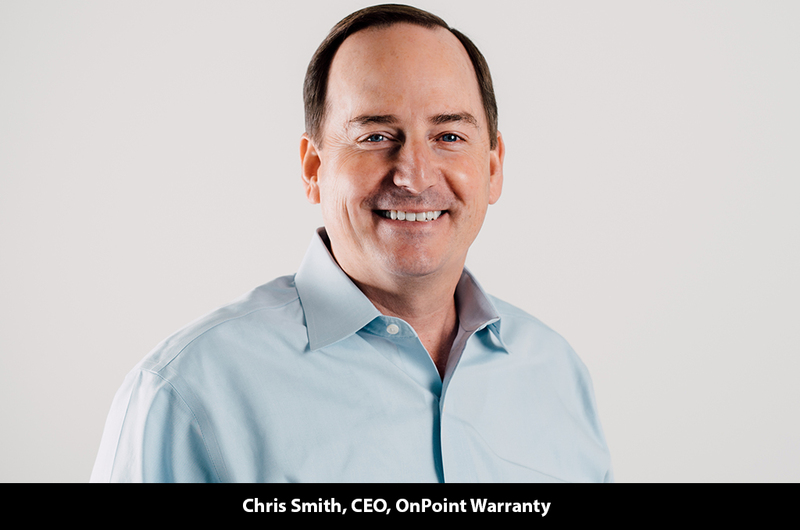 OnPoint’s direct-to-consumer program integrates extended warranties and on-demand service and maintenance options. The program is geared towards increasing the lifetime value of each customer relationship through providing the ability for consumers to pick and choose service contract coverage for a wide range of products, based on their current needs, as well as maintenance and repair services for products like home networking, home theater, mobile devices, smart home technology and even consumable fulfillment for things like refrigerator or HVAC filters or smart LED lighting. By exploiting the talents of our service network, particularly those of technicians like the millennial generation which are comfortable and able to work with computing, networking and IoT connected devices, OnPoint can serve as a single vendor product service solution for every consumer. And, better than traditional marketplace solutions like Angie’s List or Home Advisor which rely on simple crowd-sourced ratings and offer no direct connectivity to service providers outside of a phone call, OnPoint’s omnichannel technology enables every consumer from any device to register new and existing products, and request service or maintenance. It also allows consumers to determine which contract and service subscription works best for their requirements today and adapt their coverage as their personal portfolio of products changes. On-demand contract as well as repair and maintenance coverage is a game changer for the industry and has enabled OnPoint to leapfrog other warranty service providers. This type of innovative, subscription-based, on-demand contract and service solution makes routine configuration, maintenance and protection of consumers’ ever-evolving households of connected products easier and more enjoyable, which drives long-term recurring revenues for OnPoint and its clients. Moreover, unlike most warranty service providers, OnPoint is keenly aware of how managing products and parts logistics goes hand in hand with driving great service delivery experiences. They consider logistics a complementary and necessary part of their service fulfilment strategy. The company currently manages warranty parts logistics for a major small appliance manufacturer, initiating forward and reverse logistics workflow, while keeping the consumer informed of all activities from support request to shipment to completion. With OnPoint’s help, the OEM decreased their costs by driving a lower percentage of product replacements. OnPoint has also provided a way to improve revenue by developing a service contract program which covers existing and new units, driving the profitability for the client as well. OnPoint Warranty is also making waves with commercial warranty programs that pair the right commercial underwriter, usually with experience in technology such as commercial LED lighting, solar panels, or commercial printing machines, with a manufacturer who desires a mechanism to move risk off their books.